New to San Churros and part of the 2013 Summer Menu is the Chocolate Fudge Sundae, the ultimate 1990’s dessert when at the time in Perth the only dessert cafes around was Baskin Robbins and Gelares! 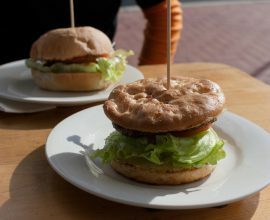 We certainly are spoilt here in Perth now, just look at all the yummy choices! 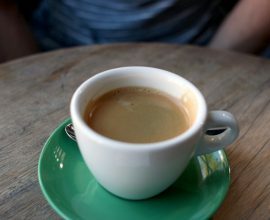 Northbridge San Churros is right next door to the popular Northbridge Piazza in the heart of the nightlife district, it is a big cafe with a lively atmosphere to match, an alternative setting to the cosy and intimate Subiaco store. 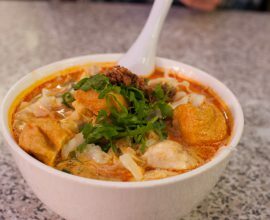 Open to 1:00 am on the weekends makes this an ideal place to stop by after dinner, a theatre show or movie. Anyone living in Perth this summer knows we have had a few heatwaves and we are only in February! 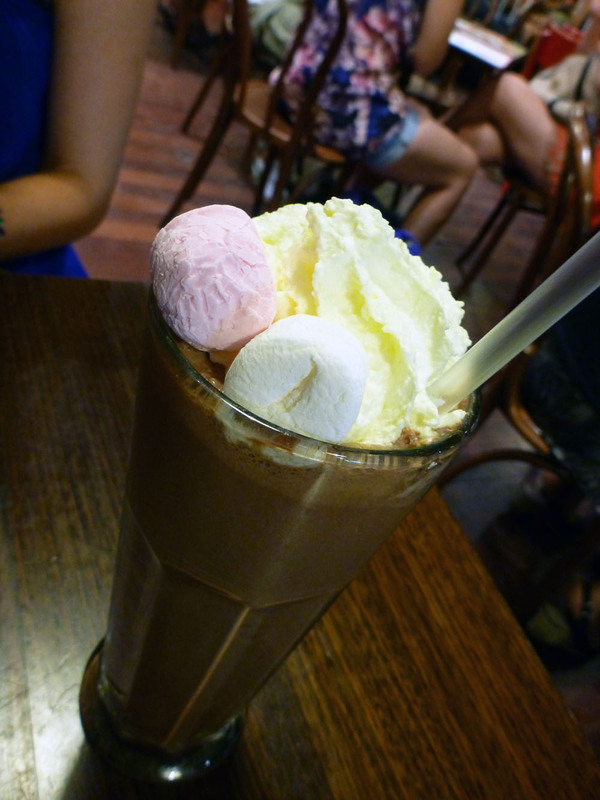 On a balmy Perth night consuming an ice cold dessert and beverage is where I want to be. 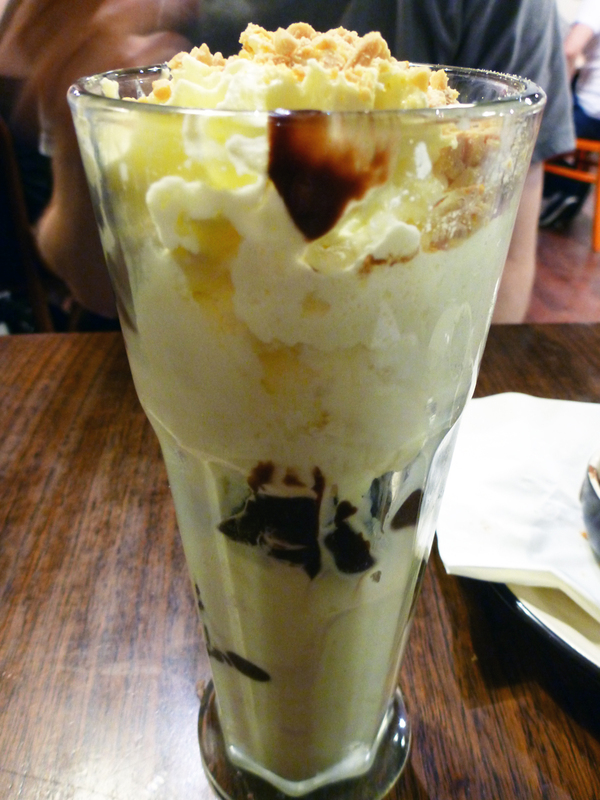 The chocolate fudge sundae was served in a tall glass and filled with layers of cold creamy vanilla ice cream, real chocolate sauce, whipped cream and diced peanuts. It is a classical dessert that always pleases and a befitting choice to share between two, that is if you can share! 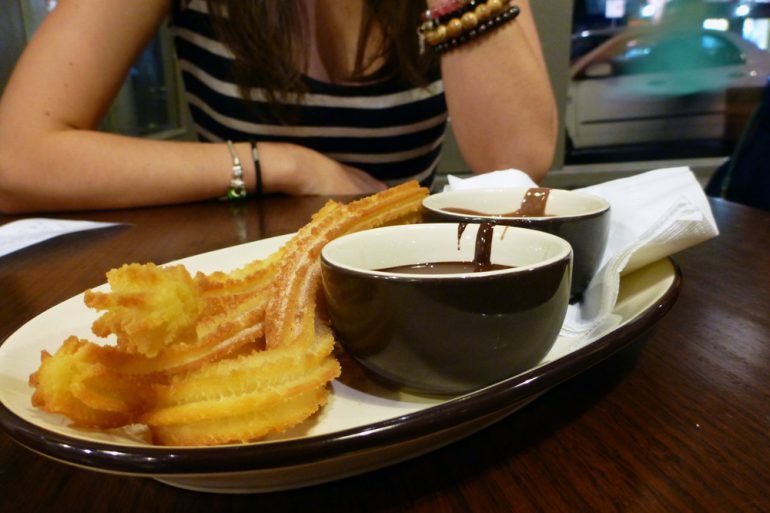 Of course, no visit to San Churros is complete without having the sugar powdered twisted Spanish donuts known as churros and the mandatory chocolate dipping sauces. 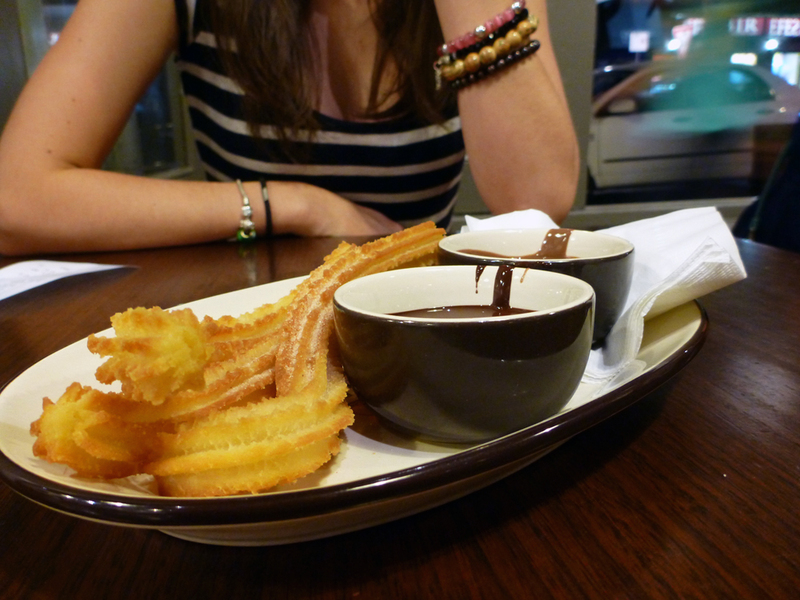 I would be lying if I did not say that a few of our Churros were double dipped into the sundae and then into the chocolate dipping sauce. Torn between churros and ice cream, the choc banana sundae is perhaps the choice that ends the dramas of making that final selection! 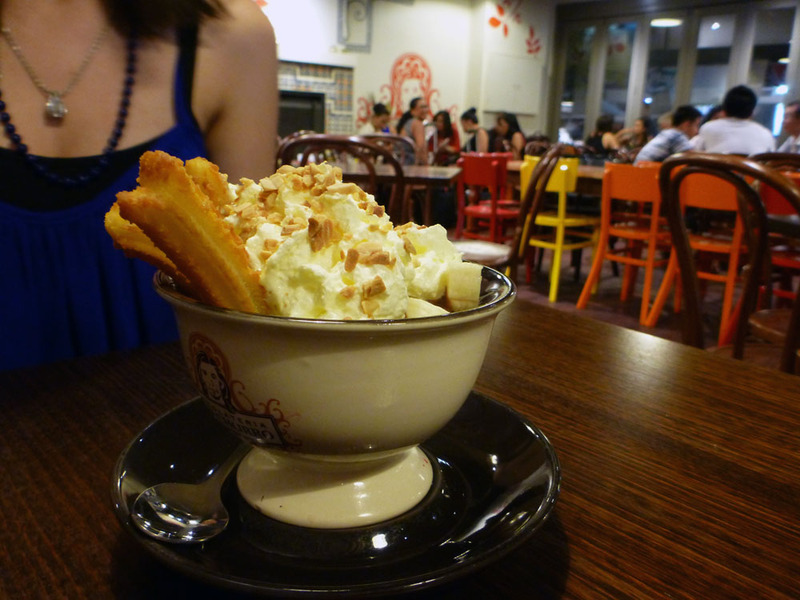 The sundae is served with 3 mini churros, sliced bananas, ice cream, whipped cream and topped with peanuts. The chocolate sauce that is poured over the ice cream hardens instantly. The tall shake was ice cold and indeed rich in flavour, it is a delectable blend of hazelnuts, dark chocolate and chocolate ice cream.